This company offers free spouse monitoring and affordable additional features. LifeFone is one of the most experienced brands in the industry with almost forty years of illustrious history in the field of medical alert systems. The company manufactures a great variety of emergency alert buttons, which is partly how they have gained their current reputation. LifeFone’s systems are packed with features that are designed to help users, whether they’re at home or out and about. A number of online LifeFone reviews by users speak positively about their overall impression of this brand, from its customer service to additional features. These systems are recognized by hospitals, doctors, and health organizations nationwide. Now for the big question: is the service really worthwhile? Stay tuned as we outline the good, the bad, and the in-between regarding this company and the devices it puts forward! Both the at-home and mobile solutions from this brand offer an extensive set of services allowing customers to find the one device that will match their exact needs. In addition, the functionality of these medical alert systems can be enhanced with the vast array of additional features that the company manufactures. We’ll discuss these unique accessories below, as for now, let’s see what each individual system puts on the table in this set of LifeFone reviews. Much like almost every other medical alert system provider, the company offers a landline and a cellular option for users who prefer the comfort of their home. 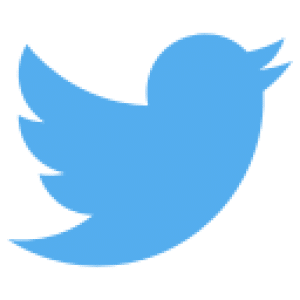 Even though there are no other differences besides the means of connectivity, it seems the brand treats these two devices as wholly separate systems. However, we are going to simplify things by talking in detail about the LifeFone At Home landline medical alert system. We’ll say in advance that the same design and features are noticed in the cellular option as well. Design-wise, the at-home solution looks like a fairly simple device. At the top of the base unit, there is a large round gray Emergency Call button. Once pressed, it glows red, and the outer circle surrounding it will flash blue. Upon initiating help from the button, you’ll hear a digital voice and a beep until a live agent takes the call. If you’ve read some Classic Guardian Medical Guardian reviews this design probably seems familiar to you. Nonetheless, aside from their base units looking identical, the services these two companies offer differ. Above the Emergency button there’s a Reset button that flashes orange when the alarm has been triggered. The speaker is found in the upper left corner while the microphone is below the Help button. There are also three LED indicators for power, communication, and trouble. The Power indicator is solid green when the device is powered up, and it flashes green if the system is running on the 32-hour backup battery. Similarly, the Communication LED on this LifeFone medical alert system glows solid green when communication is uninterrupted, flashes green during an active transmission, is solid red when communication is unavailable, and finally, if transmission is blocked, it will flash red. On the other hand, the Trouble indicator glows solid red when the unit is not working properly and flashes red when the battery is low. The power jack and the rechargeable battery are placed behind a removable panel on the base unit. The On/Off switch is at the back, right alongside the two power jacks. 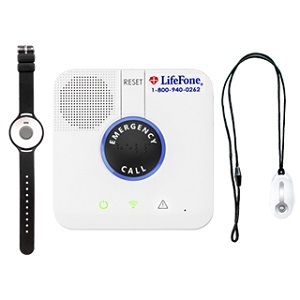 Whether you decide for the landline or cellular option, you can choose between a wearable LifeFone wristband or pendant Help button with a range of 1300 feet. Most of the medical alert systems are designed for easy installation, and this one is no different. Simply plug the unit into an AC outlet (if you choose the cellular option, you can skip this step) and turn the device on using the On/Off switch at the back. After, you’ll notice that the outer ring will flash blue for a while until the system’s digital voice announces that the unit is ready to work. For more details, take a look at our LifeFone review of their At-Home solution. The mobile solutions by this company offer protection both in home and on the go. There are two options available, the At-Home & On-the-Go GPS or the upgraded At-Home & On-the-Go GPS with Voice-in-Necklace. Both of these devices work wherever there’s AT&T network reception, meaning they offer coverage all throughout the US. The first mobile solution is actually a combo package that contains Mobile Help’s in-home cellular system and Mobile Help’s mobile system, the Solo. Many of the alert systems use Mobile Help’s equipment. As you can see in ourMedical Guardian review, this brand relies on Mobile Help’s gear too. As the name itself suggests, At-Home & On-the-Go GPS is a two-in-one system that comes with a base unit for in-home use and a cellular mobile unit for use everywhere in the US. The in-home base unit features a simple design, with a large red Emergency button on the left and a blue Reset button on the right. Between them, there’s a well-organized LED display that shows the time, date, and ambient temperature. Below the LED display, you can find the Test button. The mobile base is slightly bigger, similar to the mobile base of the Bay Alarm Medical GPS system. It comes with a belt pouch for ease of use, but it still feels a bit large to wear. However, we read some reviews saying that users opted for carrying the base in a purse and faced no discomfort. Still, considering the fact that not everybody wears purses, we’d like to point out that the clunky design could use some minor improvements. This system includes a wristband-mounted, watch-like button in the standard package. To function, the system requires both the mobile station and the pendant or wristband to be worn. As the LifeFone manual claims, both the pendant and the wristband have a long battery life of 18 months. This is a standalone device that takes the safety, flexibility, and comfort of users to the next level. Contrary to the above-mentioned GPS system, with this device, there’s no need to carry additional equipment besides the light-weight pendant. The pendant weighs around 1.7 oz and can be worn as a necklace or on a belt-clip. 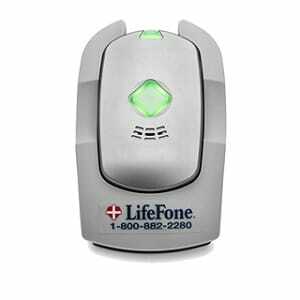 In a number of LifeFone medical alert reviews, the device is praised as the most versatile solution because it doubles as an in-home and on-the-go system. To sum things up, this system works pretty much the same as any other mobile solution. However, one feature that sets the device apart from competitors is the fact that two-way communication is enabled through the pendant. When it comes to upgrades, the company has a vast array of accessories you can choose from, and it is the only brand that can match Alert1’s offers. For starters, a lot of medical alert reviews highlight that smoke monitoring is a feature many customers demand. This brand not only offers smoke and fire monitoring, but CO too! Even though GPS is not available as an add-on for the at-home solutions, if you need GPS tracking, you can always opt for a mobile solution. Another accessory the company doesn’t provide is a voice-extender. On the bright side, multiperson monitoring is free. There’s no additional fee for monitoring, and your family member can use the same base unit. However, you have to make a one-time payment of around $40 for an additional pendant. Nonetheless, a couple of Philips Lifeline reviews by users state that they’d prefer a one-time payment over the rather expensive monitoring service we mentioned in our Philips Lifeline review. Speaking of keeping your monthly fee at its lowest, you can also get wall-mounted buttons and a lockbox for a one-time payment of around $40. To treat their fashionable users, the company also came up with a beaded lanyard, which can be yours for around $20. For on-the-go devices, there’s a protective leather carrying case for the mobile unit. Since there were a few LifeFone complaints regarding the clunky design of the mobile unit, this could be the solution, and it costs around $19. Moving on, we found that the car charger for the mobile unit also scores major respect from users. Its budget-friendly price of $19.95 is also appreciated. However, one of the most important LifeFone features is fall detection. At just $5 per month, you can upgrade any of the devices offered by this brand with this life-saving addition. How Much Does LifeFone Cost? The company offers a lot of different billing plans. Whichever package you choose, rest assured there won’t be any hidden costs. In addition, every product comes with a lifetime guarantee. Similar to other companies from the industry, opting for a longer commitment will also grant you lower prices. The basic, at-home landline option costs around $25 a month, while the cellular is priced at around $30. Quarterly, the landline solution is around $84, and the annual contract is even more affordable at around $250 per year. You can also drive the LifeFone price of the cellular option down by sticking to a longer commitment. Quarterly, it will cost you around $99 and annually the cost is around $310. The monthly, quarterly, and annual costs for the At-Home & On-the-Go GPS solution are around $40, $120, and $370. At-Home & On-The-Go GPS with Voice-in-Necklace costs around $47 a month, $135 quarterly, and less than $430 a year. Make it a habit to check lifefone.com regularly, as they often offer different coupons and discounts! When it comes to choosing the best medical alert system provider on the market, the one thing that should never be neglected is the company’s response time. In case of an emergency, users need immediate attention, therefore it’s crucial to have a live agent pick up the call as soon as possible. 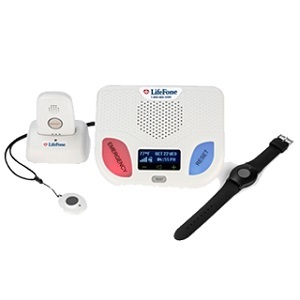 Luckily, whichever LifeFone medical alert system you choose, they all connect to the company’s in-house response center. They offer support in more than 200 languages around the clock, and the response time never exceeds a minute. Although we’ve seen better response times within brands from the industry, the average time of around 40 seconds is acceptable. In addition, you can always add the unique Caregiver Tools feature to your subscription—a nice highlight of these LifeFone reviews—which only further deepens your connection with the call center. For example, you can add Activity Assurance for $6 a month, and you’ll get daily alarms at a preset time to ensure you’re doing fine. If you don’t stop the alarm, a live agent calls you and sends help. There’s also the option to add daily check-in calls, but this feature comes at a price of $19 per month. With this feature you’ll have a live agent call you every day to make sure you’re OK and remind you about your medication. In addition, the Medication Reminders feature under the Caregiver Tools will remind you to take your medication, but it doesn’t work with all LifeFone medical alert systems. Location Service is another feature that works only with the GPS systems. The vast array of additional features at affordable prices is probably among the top reasons people opt for this company as their medical alert provider. To top things off, they also offer free spouse monitoring. In addition, the fall detection feature is budget-friendly and compatible with all the systems. The company also offers customer-friendly terms. Users can cancel at any time for any reason. LifeFone returns are also possible, and if you return the system within 30 days, they’ll return the full sum of your order. Although not the most expensive, the company seems to be on the costly side. Besides the fact that the response times are average, considering that the brand has a history of 40 years in the field, we would love to see improved times. Another thing we noticed during our testing was the pendant range. It seems the coverage range is shorter than specified. While writing this, we also consulted numerous customer LifeFone reviews, and they all emphasized the overall efficiency of the company. All things considered, this brand is a solid choice for anyone looking for a reliable medical alert system that can be upgraded with an astonishing number of features.